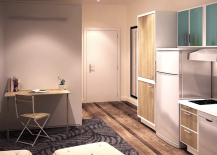 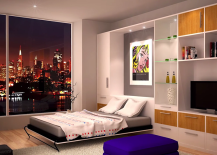 With more and more folks opting to live in cozier urban quarters, murphy beds have been increasing in popularity as a way to fit all of the necessities of life into a studio apartment. 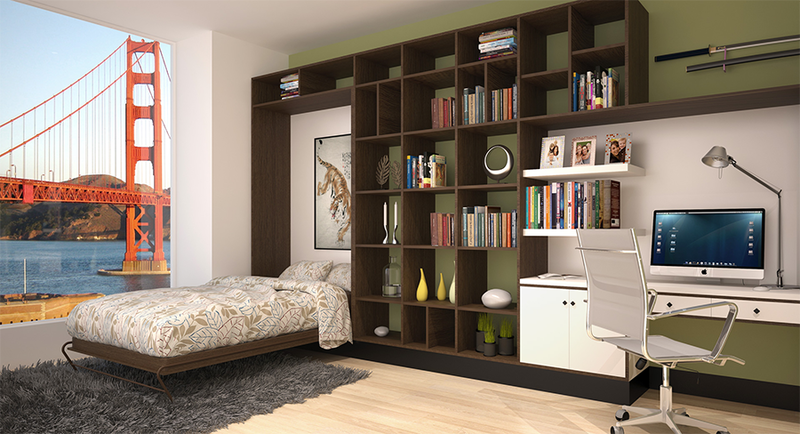 Whether they flip down from the wall or out from behind bookshelves, these double-duty furniture pieces come in a bevy of different styles, finishes and configurations. 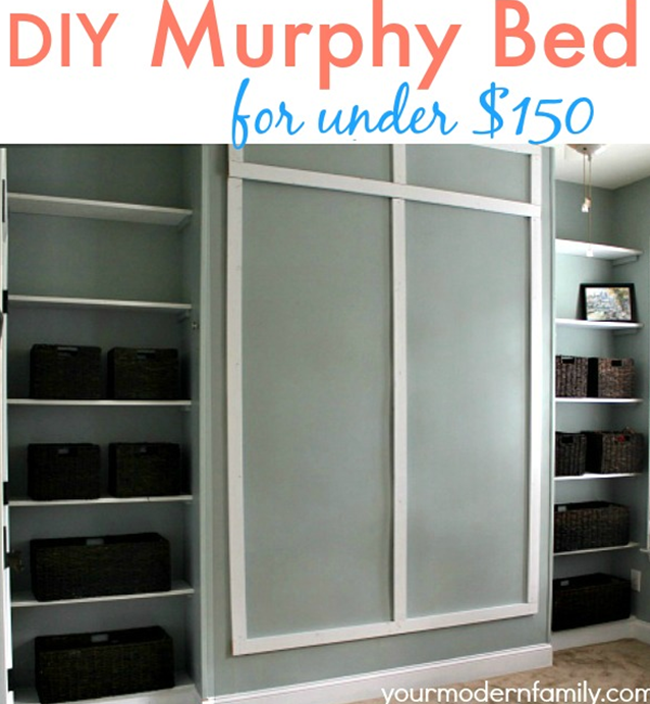 Read on for some of our favorite wall bed picks, from sophisticated top-of-the-line models to affordable DIY versions! 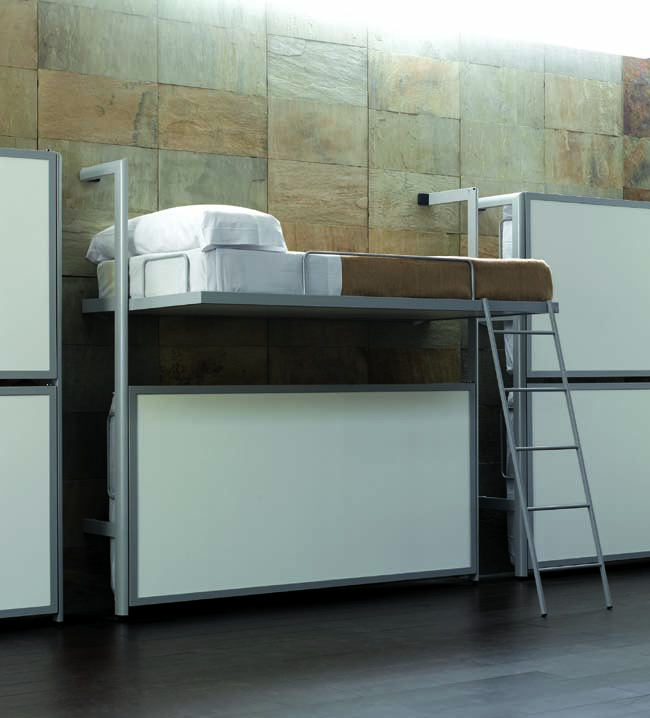 The Ulisse bed is perfect for offices that double as guest bedrooms – or if you’re a workaholic that just can’t seem to tear yourself away from your desk. 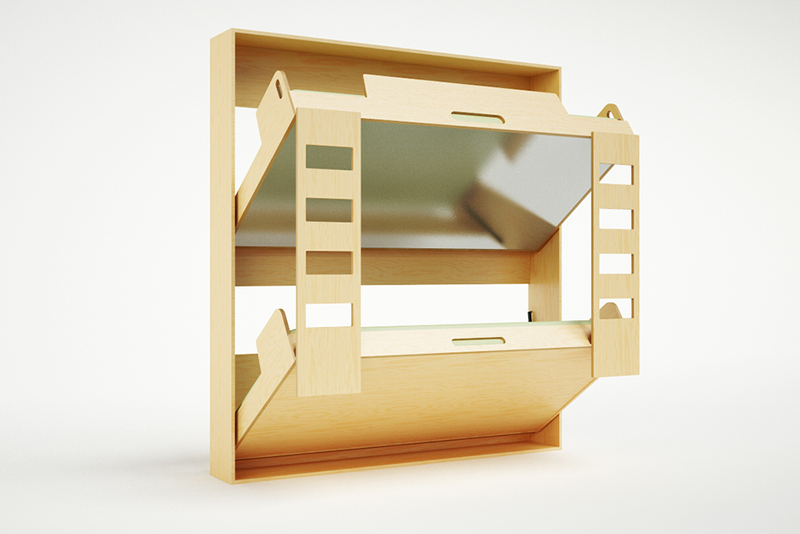 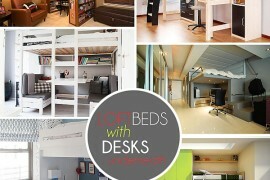 The multi-use piece serves as a 5-foot desk during the day and folds down into a queen-size bed. 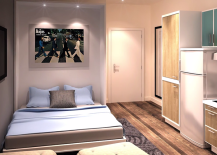 The best part is that opening the bed doesn’t disturb your work, so you can pick up right where you left off the next morning. 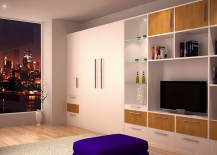 If you’re looking for a custom solution, the Closet Factory can design a wall bed that is specifically outfitted to your requirements. 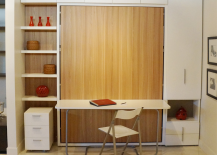 Whether you want additional storage or an uncommon width, they can come up with something that is perfectly tailored to your needs. 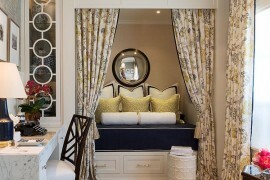 But not all fold-out beds need to transform into flat walls. 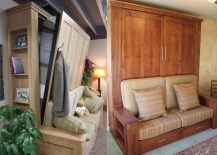 If you’re looking for a way to maximize seating as well as sleeping space, these sofa murphy beds from Montana Murphy Beds get both jobs done and even feature extra built-in storage on the sides. 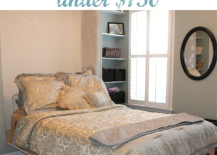 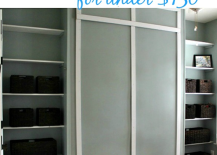 It’s true that some wall beds can be cost-prohibitive, but check out this version built by the folks over at Your Modern Family for under just $150. 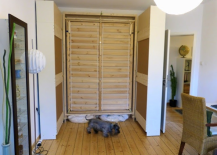 It took them about four hours using materials you can find readily available at the hardware store like 2X4s, plywood and door hinges. 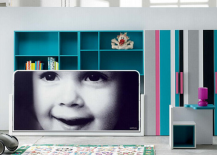 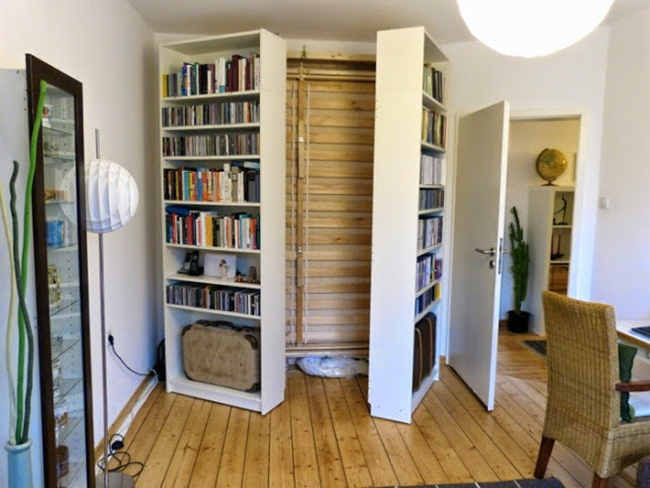 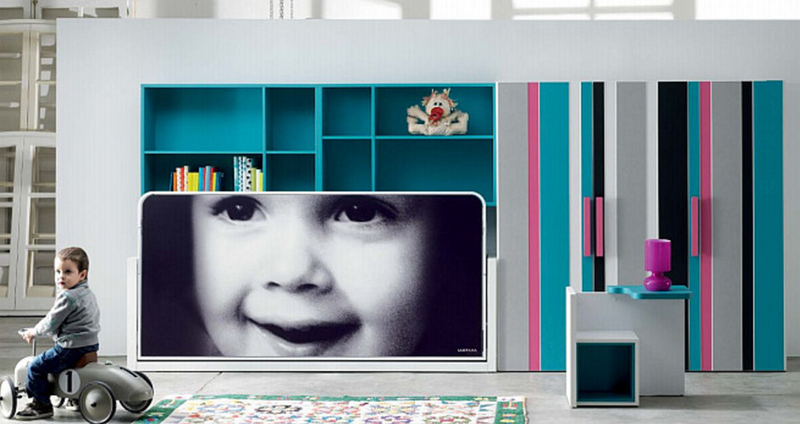 We all know how versatile IKEA’s Billy bookcases are, and here is yet another cool use for them. 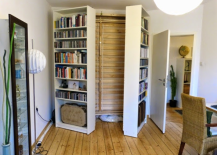 Submitted to IKEA Hackers by Frondon of Germany, this clever bed remains hidden behind two bookshelves until it’s time to go to sleep. 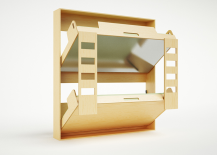 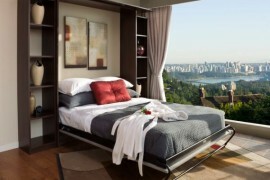 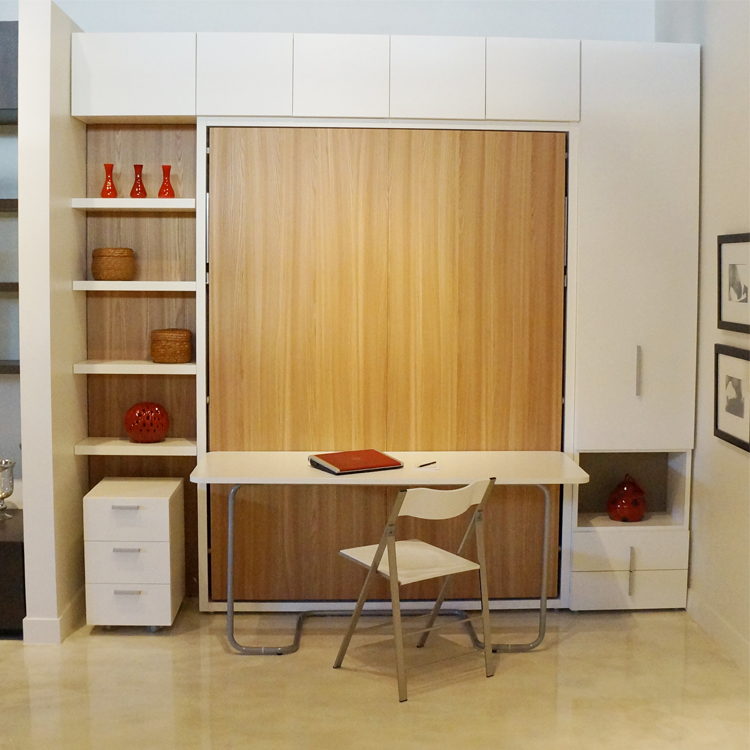 Resource Furniture’s La Literal system provides the convenience of murphy beds with a modern, minimalist look. 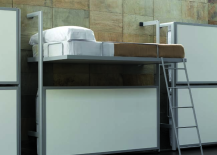 The sturdy wood and metal construction allows you to open both beds or just one bed at a time depending on what the situation calls for. 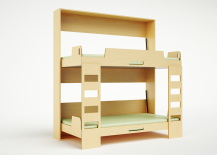 Casa Kids’ Double Tuck Compact Bunk Beds are named for the fact that they tuck into a small, 13 3/4″ deep cabinet when they’re not in use. 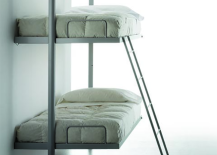 Even the ladders fold up along with the beds! 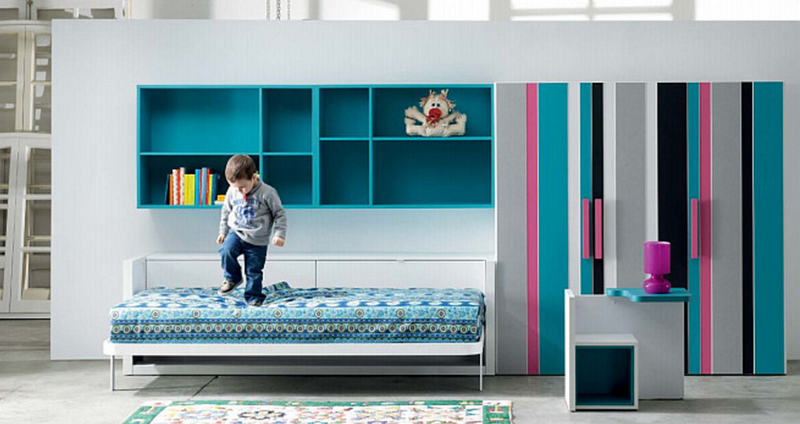 Spotted at the 2015 Architectural Digest Home Design Show, Milano Smart Living’s flip-down bunk beds double as artwork for children’s rooms. 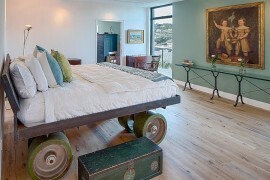 The large-scale murals that disguise the beds when they’re not in use can be customized to suit your tastes. 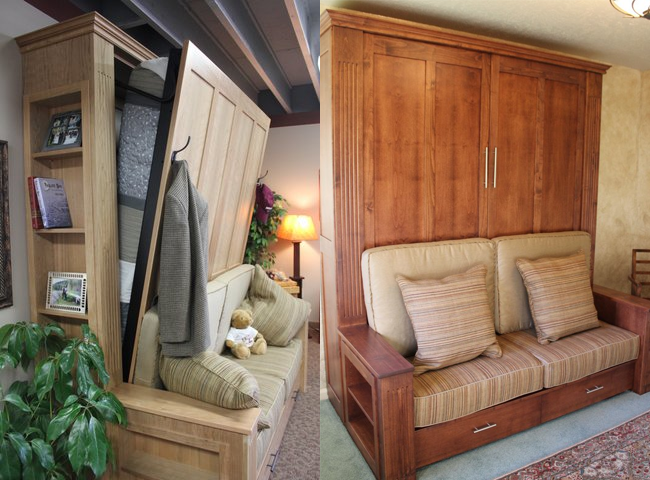 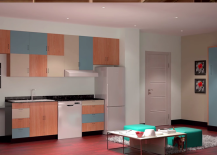 We hope these examples encourage you to consider a Murphy bed as a small space solution in your home.